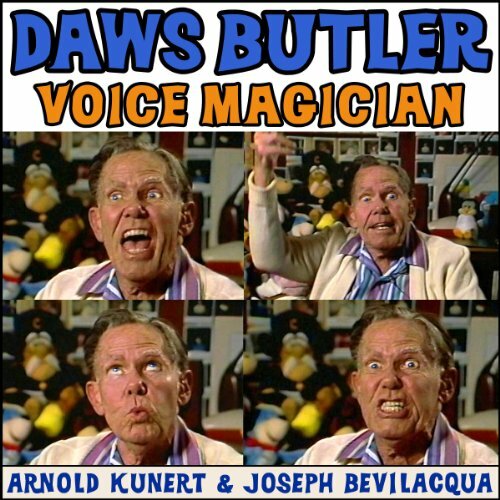 Daws Butler: Voice Magician traces the career of one of America's best-loved but least-seen actors. During his fifty year career, Daws Butler provided the voices for suchbeloved animated characters as Yogi Bear, Huckleberry Hound, Quick Draw McGraw, Chilly Willy, Elroy Jetson, and dozens of others. Interwoven throughout this interview with Butler are samples of his distinctive voice characterizations in cartoons, radio and television programs, commercials, and comedy records. The hour, based on the 1987 Arnold Kunert video documentary, includes a reunion between Daws Butler and Stan Freberg. This audio features William Conrad, Daws Butler, StanFreberg, Myrtis Butler, Sody Clampett, June Foray, Walter Lantz, Don Messick,Bill Hanna, Joe Barbera, Miles Auer, Penny Singleton, and Joe Bevilacqua. ©2014 Arnold R. Kunert (P)2014 Blackstone Audio, Inc. I loved this. truly a work of art recounting some of the best voice actors ever captured on tape. the joy and love of their craft comes through in their generous sharing of this. In entertainment history. This will be a gift to all who listen to it. Bill C.